Ulfr and Herbjôrn and Nesbjôrn and Hemingr had the stone raised in memory of Borgulf, their father. This rune stone is in a sad state. 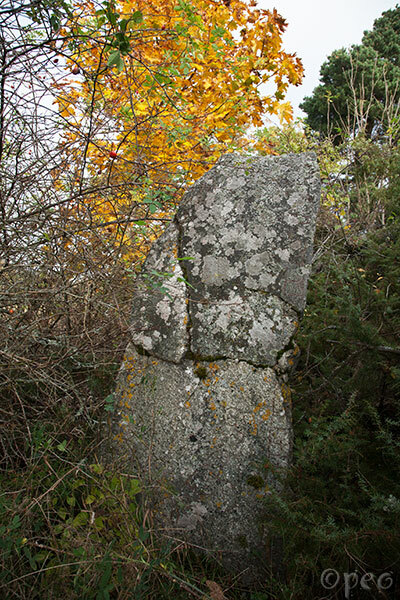 I was broken and then mended, but it's very torn and covered with lichen. Kylfingr had the stone raised in memory of Nesbjôrn, his father; and Gillaug in memory of her husbandman. 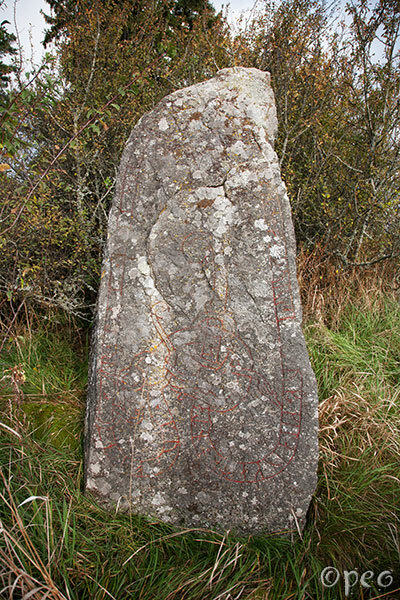 This rune stone is standing some 15 meters to the right of the upper one. Point at the picture to see a close-up.